Now transmitting for more that 1,240 days, “Andy” is the longest reporting tiger shark ever tagged. 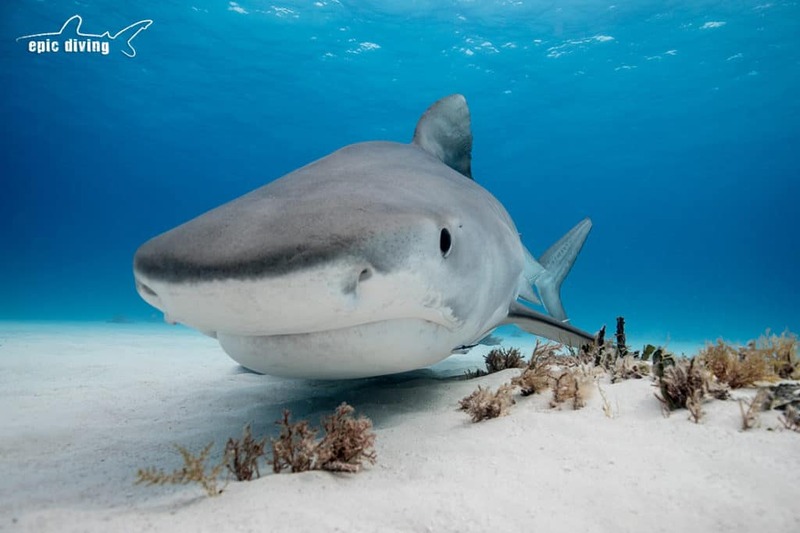 Back in 2014, researchers from Nova Southeastern University’s Guy Harvey Research Institute (GHRI) tagged the male tiger shark off the island of Bermuda. Over the past three years, the shark has logged more than 37,500 miles with the last ping picked up on December 28, 2017. 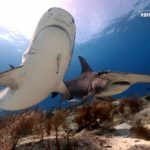 “This amazing, nearly three and a half year track is revealing clear repeated patterns in the shark’s migrations between summer and winter,” reported Dr. Mahmood Shivji. In the following video, you’ll see the entire track made since he was first tagged. Looks like Andy hasn’t made any stop offs at Tiger Beach, but has gotten close! 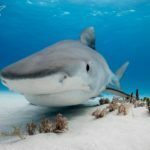 According to a paper published in the most recent ICES Journal of Marine Science by Shivji and his colleagues, tiger shark migrations are heavily influenced by a shark’s physical characteristics (i.e. size, age) and environmental variations (i.e. water temperature, prey availability). 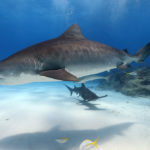 This study reveals not only the environmental factors driving these massive migrations by tiger sharks but also highlights how the different age groups behave. This information could prompt fisheries managers to reevaluate how best to protect this near-threatened species.